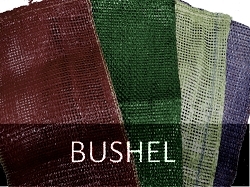 Mesh seafood bags are used for packing fresh shellfish (mussels, oysters), crawfish and are also used for vegetables, fruits, potatoes, corn, onions, firewood and other produce. 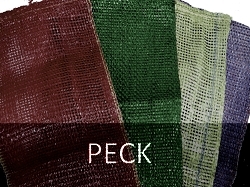 They are specially woven and designed to maintain freshness of packed goods by allowing air to circulate inside the bags to prevent the accumulation of moisture that may spoil the produce. All of our bags are UV protected. Mesh seafood bags can be custom ordered with LOGO/Print (Contact our customer service dept). Available in Peck, 1/2 Bushel and Full Bushel sizes. 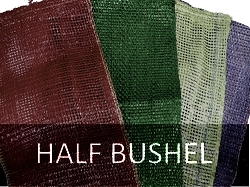 Each bag has a poly woven drawstring for easy closure.